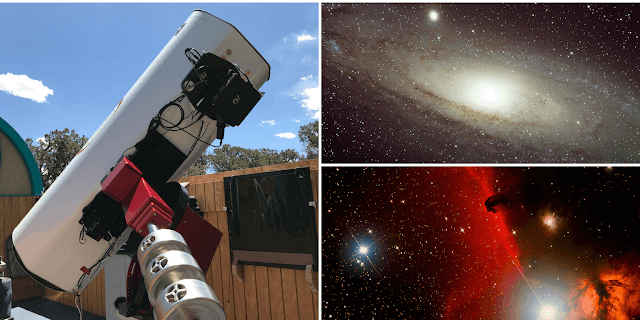 Insight Observatory specializes in Astronomy Education Outreach for Schools, the General Public, and Amateur Astronomers utilizing online Internet remote robotic telescopes. Barnard 33, the Horsehead Nebula. 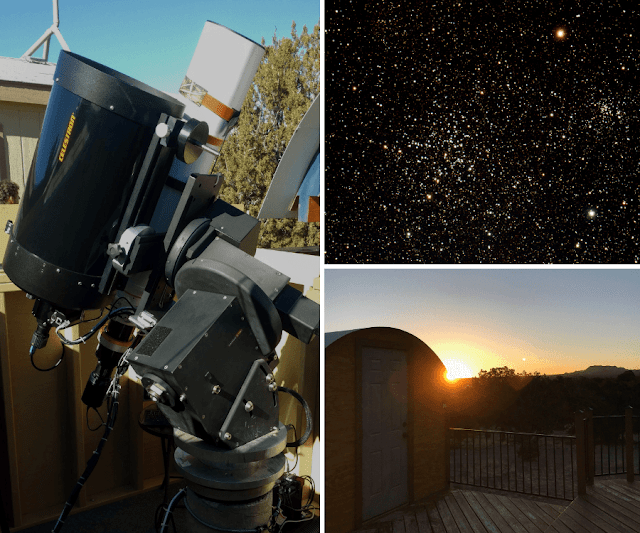 Providing remotely controlled (via our internet portal) robotic imaging, our telescopes are hosted at SkyPi Remote Observatory located at an elevation of 7,778 ft in the dark skies of western New Mexico. These telescopes are currently accessible to students, faculty and amateur astronomers for research or deep-sky imaging. 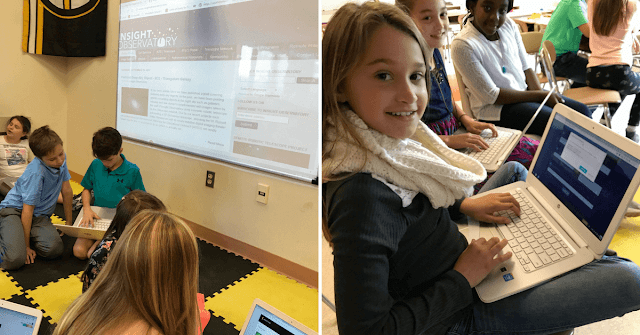 Currently, Insight Observatory houses a 16" reflector telescope called the Astronomical Telescope for Educational Outreach (ATEO-1) that went online in the summer of 2017. 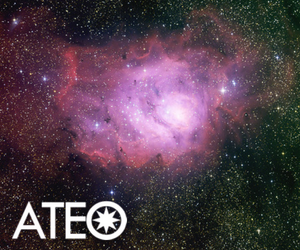 ATEO-2A and 2B is a tandem imaging system consisting of a 5" refractor and an 11" Schmidt-Cassegrain. These remote imaging telescopes are now available as imaging options on our Public Image Request (PIR) and Educational Image Request (EIR) forms. ATEO-2 is scheduled to be accessed via the ATEO Portal within the next couple of months. Omega Observatory located at SkyPi Remote Observatory that houses ATEO-2 at Sunrise.